Dear visitors of the Russian Visa Centers! Please note that due to a significant increase of the number of visa applications, may occur long wait times to be received on a first come, first served basis. We invite you to make an appointment on the website of the Visa Center well in advance. 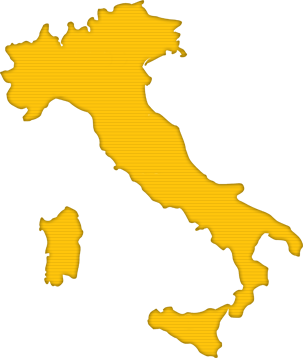 Welcome to the website of Russian Visa Office in Italy! Russian Visa Office is opened in order to improve the service quality for the citizens of Italy, citizens of other countries and persons without citizenship, wishing to obtain a visa to the Russian Federation. The Russian Visa Office main priority is facilitation and acceleration of a Russian visa processing procedure. Visa Office operators will consult you on any issues regarding a Russian visa processing, will help you to fill in a visa application form, will accept and process the submitted documentation package and will submit it to the Consular department of the Embassy or Consulate General of the Russian Federation. Please note that Visa Office fulfils only service functions. The decisions on issuing or declining to issue a visa are made by a Russian consular institution! After the Embassy or Consulate General of the Russian Federation decision to issue a visa is made, you will be able to receive prepared documents in a Visa Office. A multi-channel reference and information centre is opened in order to answer your questions. One can book an appointment independently either via the Visa Office website or via telephone by calling +39 02 86882121. Russian Visa Office will give you support, will provide comfort and convenience during the Russian Federation visa processing.